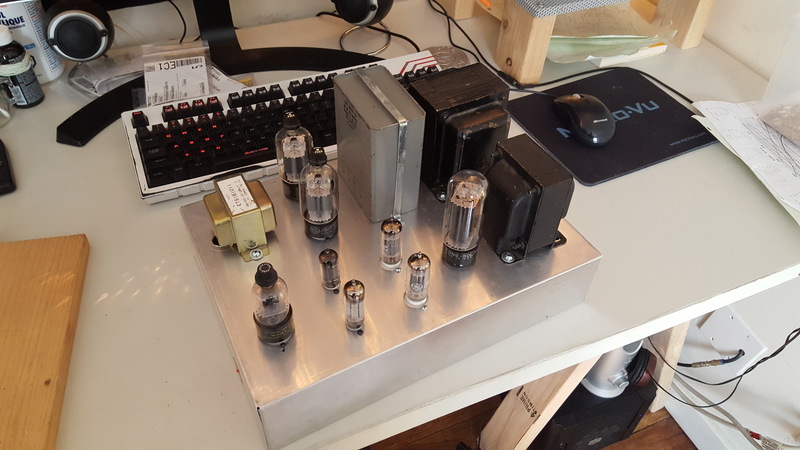 A "Junk-box Build" vacuum tube guitar amplifier. 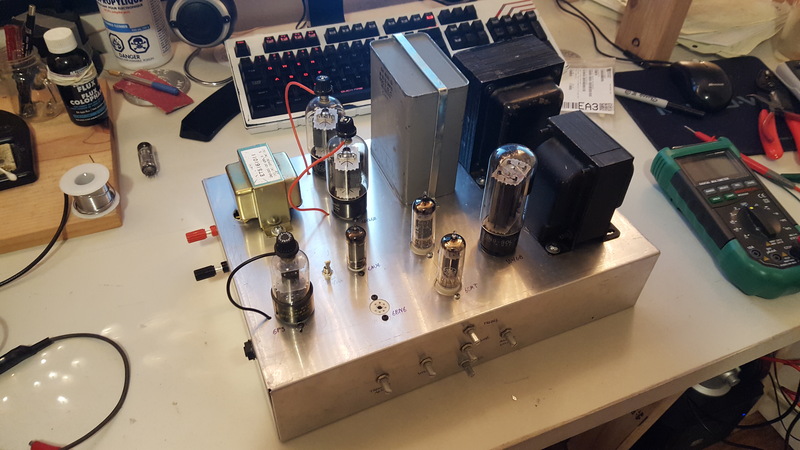 I slapped this amp together using only parts I had immediately on hand. 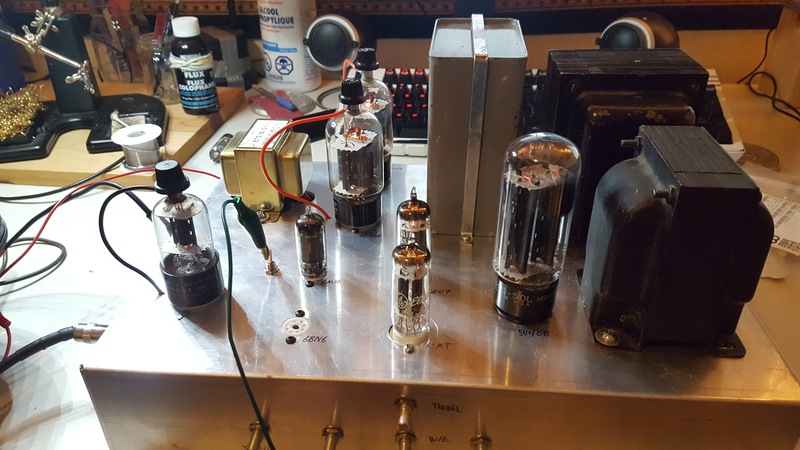 The transformers and capacitors that I used were salvaged from ancient 1940s PA amplifiers. 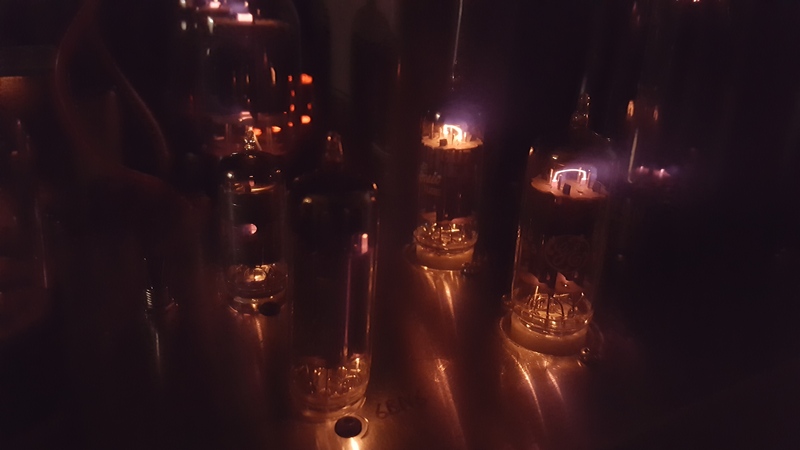 The tubes were old miscellaneous spares from old tube televisions. 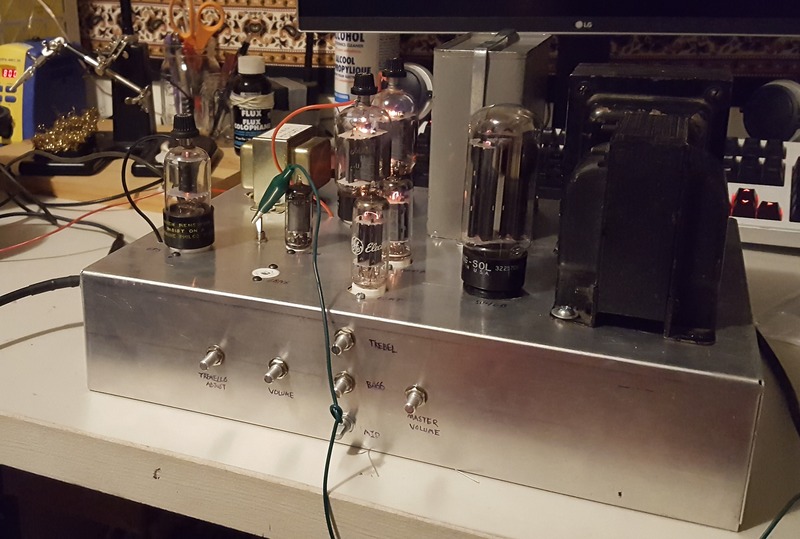 The amp has a full array of gain and tone controls. It also has a tremolo oscillator that can be coupled to a sync-clipper tube for some interesting effects combinations. 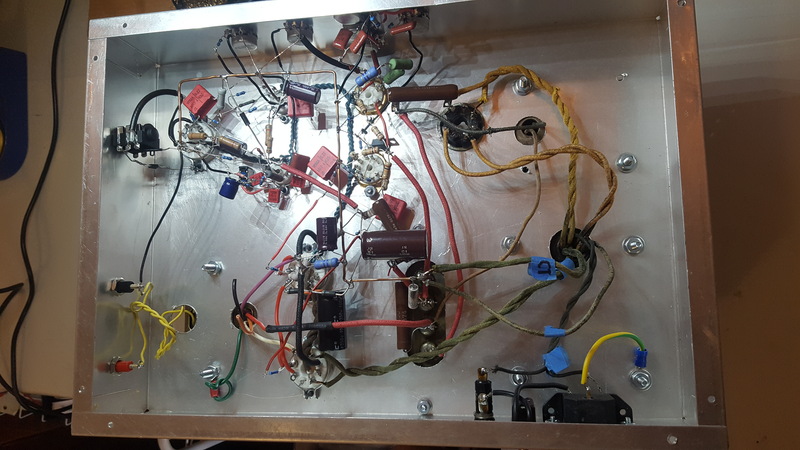 The chassis is an aluminum box that I salvaged from someone else's discarded electronics project. I just had to drill all the tube socket and mounting holes.